The time-to-market (TTM) for a new product introduction (NPI) is usually gated by working hardware and firmware that can eventually be certified for launch by the Quality Assurance department. A closer look at the schedule will show you that development is pretty much serialized due to the availability of working hardware boards at various stages of development for departments like platform, application development, test, manufacturing test, and then final QA. Usually, the hardware group is either at the end of its Engineering Validation Test cycle or at the beginning of its Design Validation Test (DVT) cycle when the software team receives the minimum number of required hardware boards and is at peak code development stage. Worse yet, the test team may get boards while DVT may be over or if luck has it, is in progress. Hence the huge risk exists of uncovering a hardware issue at this stage by either test or, to lesser extent, the software team. Such fixes at this late stage are very expensive, and therefore, end up in negotiations over forced trade-offs with product management. And then compromises are made, essentially lowering either the quality or the value of the product. The board farm cloud (BFC), which is becoming an essential solution for testing against numerous combinations of settings and versions of products, can be made even more useful if it can help avoid these forced trade-offs caused by board availability constraints. The BFC can offer an excellent ROI by itself, and moreover, it can provide an even higher value to the company if it can be used by departments other than Engineering. The following use cases draw out the features which make the BFC a universal tool across the company. In this first use case, using a BFC that allows remote access and shared hardware results in fewer pieces of hardware built. That in turn lowers R&D project cost, increasing the NPV and lowering the payback period. The main advantage of sharing is that it gives much earlier access to the software platform/firmware team, allowing them to begin software development and testing earlier, and thus shrinking the project timeline and shortening TTM. All of this takes place without the hardware engineer giving up physical access to the board next to him/her and it increases the percentage of time the board may be available for sharing with other teams. This second use case stems from the departments of QA and DevOps, which often have conflicting priorities. 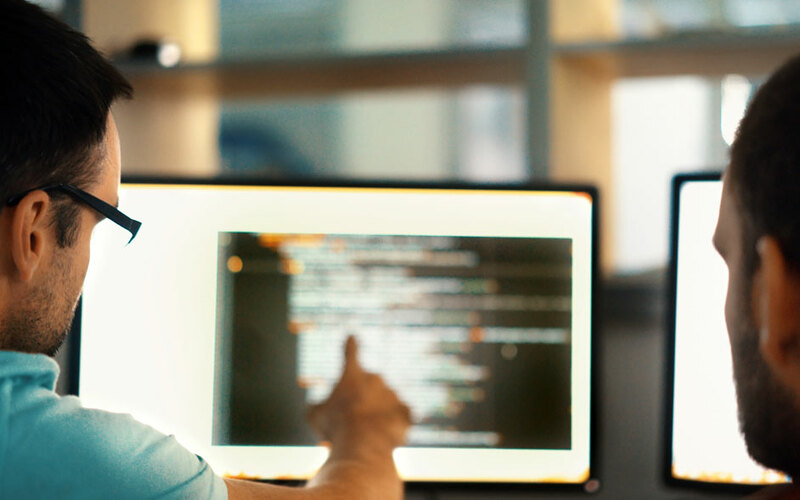 While DevOps is under pressure to deliver product to market quickly, QA’s objective is to test as much as possible to ensure the highest quality product. In addition, these teams have to deal with verifying larger combinations of supported hardware, further increasing complexity and putting pressure on the release schedule. If the BFC supports integration with CI/CD systems and can interface with a test automation framework, it can help reduce this pressure. By triggering a system like Jenkins, and utilizing Test Automation Software, one can easily set up a dedicated CI/CD test environment over dedicated shared boards and run automated System and/or Scenario based testing automatically. Furthermore, a scalable BFC allows for the connecting of a large number of Devices under test (DUT). So as new version of hardware and/or software becomes available, it can easily be tested using CI and test automation as per spec on features functionality, stress, and interconnectivity with previous released versions, thus improving the quality. A third and a good use case example is Sales demo. Salespeople need boards for performing demos and for helping their customers with product evaluation. A BFC allows salespeople to demo remotely by logging into an existing BFC, eliminating the need for them to carry any hardware, and in turn, reducing the quantity of hardware pieces needed for sales teams. And having the ability for salespeople to remotely load customer demos/applications onto hardware enables customers to evaluate products on a relevant and more personal level. Hence that brings the requirements of not only remote access to a BFC, but also an intuitive and well-designed UI that allows full control of the embedded system via web. The fourth use case is customer Support engineering. If all legacy products and current products are accessible in a centralized manner on a BFC, customer problem reports (tickets) can be reproduced with less time spent on finding the right hardware and software combination and booting older products. This would make the job of support personnel more focused, in terms of understanding and writing the ticket and issue reproduction. This brings board allocation and job queuing functionality requirements to a BFC. The fifth use case is Product engineering. At times, developing or interfacing a new subsystem into an existing customer setup is required as a proof of concept or for test purposes. If a BFC has a set of GPIOs, Bus extensions like I2C, and usertoggled USB/Ethernet connections through hot plugs, and if all are under software control, then that allows for easier build out of new capability in smaller/standalone pieces before building it all in one system. In addition to the use cases above, there are other use cases for manufacturing, marketing, and engineering. The Timesys On-Premises BFC started out doing a simple setup for the embedded hardware. However, as more features were integrated to support different use cases, the Timesys On-Premises BFC evolved into a unique solution that bridges the geographical gap and presents the shared hardware as if it is locally sitting next to the user with full control. It has all the features described above to make it a useful product that brings value to multiple departments with one investment in capital equipment. The Timesys On-Premises BFC is a centrally located Master with the necessary software that forms the core of BFC (plus the TAS, if added) connected to various Zombies that are placed at various locations around the corporation, as long as the Zombie has network connectivity to the Master (Figure 1). The Timesys On-Premises BFC is architected with Rest APIs so any Test Automation framework can be plugged in easily (Figure 2). Some of the key features of Timesys On-Premises BFC are: Centralized Management, Dashboards, accessible from anywhere via a web browser, Rest API for Test Automation, Remote Power Cycle, Console Access, easily customizable (support for different Power modules), various boot options (SD card, network, USB), Expansion capability (I2C, USB buses, GPIO pins), SD mux, Ethernet and USB Hot plugs, Built-in App/Test server, etc. Some of the benefits of the Timesys On-Premises BFC are: private behind your firewall and totally under your control, common infrastructure for test automation, boards at remote locations available to everyone, Sales/Field demo, Remote board debugging, Remote viewing (Live streaming), and inventory and health of boards. To learn more about the Timesys On-Premises BFC, contact us. Dr. Rakesh Thapar is CTO of Application Services and Test Automation at Timesys. His industry experience spans over 35 years of working in software and hardware product development intertwined with teaching and academia. Rakesh holds a PhD in computer engineering from Boston University, an MS degree in electrical engineering from Colorado State University and a BS degree in electrical engineering from the University of Roorkee.